Make sure to follow these rules when giving rides in Arkansas, and to keep an eye on your email for important news and updates from Lyft. If you're applying to become a driver in Arkansas, check out the application steps. Visit an ASE-certified mechanic. Bring the form to an ASE-certified mechanic and have your vehicle inspected. Upload the form. Upload a photo of the completed form in the Dashboard. Inspections are valid until the marked expiration date. If no expiration date is marked, Lyft requires a new inspection one year after the inspection date. 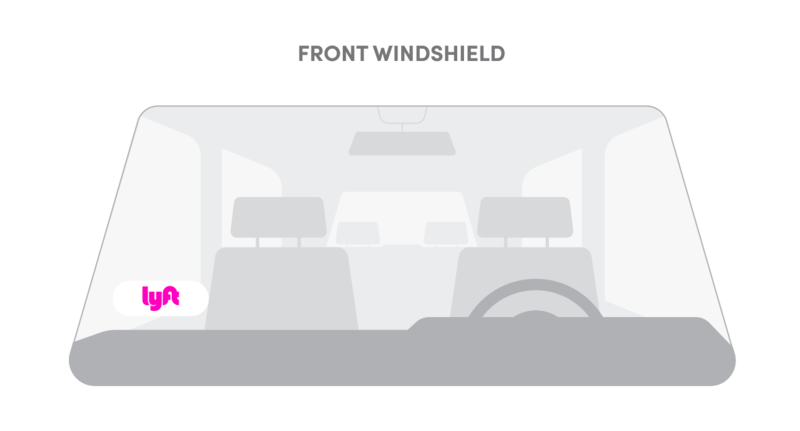 Drivers are encouraged to display the Lyft emblem while in driver mode. Refer to the image above for where to place your Lyft emblem. If you’ve just been approved to drive, you should receive your Lyft emblem shortly. If you didn't get one or need a new one, order one in your Dashboard. While waiting for it to arrive, you may print a temporary emblem. You are an approved driver, your ride is decked out with all the right things in all the right places, and you’re no stranger to the ins and outs of driving with Lyft. Review Lyft's insurance policy here. View your insurance in the app: Settings > Car > Lyft insurance. Set your vehicle up correctly every time you drive. Do not accept street hails. Do not accept cash for rides. Do not wait in taxi lines. If you run into any issues on the road, let us know. Drivers on the Lyft platform are required to maintain current documents (license, registration, insurance). Always update your documents via the Dashboard when they expire. *If you were already required to upload your vehicle registration when you became a driver, you do not need to send it in again. Moving from Arkansas to a different state? Find your new market here to see what steps you'll need to take.